Yugo 7.62x39 AK grenade launching spigot with tension ring. Conditions range from Good to Excellent. Original Yugo production correct for Yugo M70 series weapons. 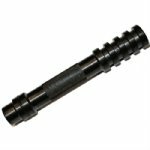 Will fit any left hand threaded AK barrel.